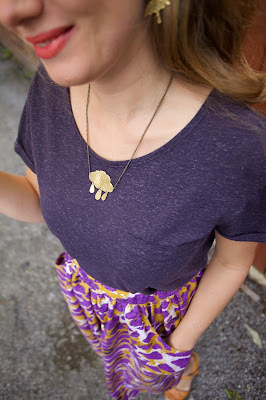 *Dusts off the blog cobwebs*… Hello! It's been a while. 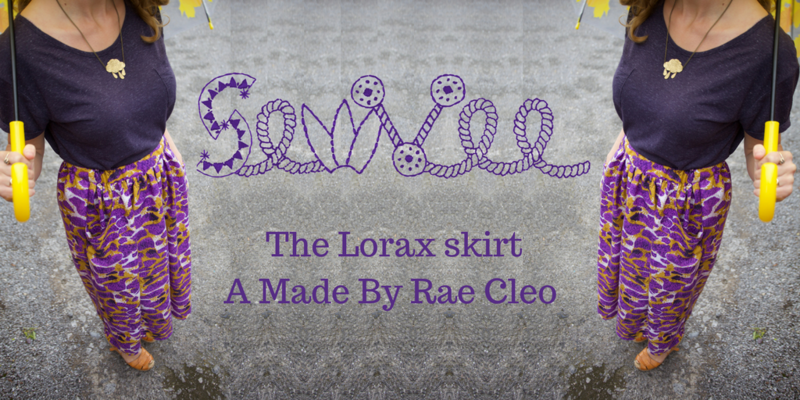 I have been lured out of blog-incommunicado by Marie Fleurine who asked me to take part in a blog tour to tell you lovely lot about an extremely talented fabric designer Marcella Romano. I headed straight over to Marcella’s website to peruse and spent the next half hour trying to keep my jaw off the floor! I couldn’t take up Marie’s offer fast enough after I clapped my greedy fabric lusting eyes on this beautiful gold and teal Jacquard. Shiny, gold and totally OTT! 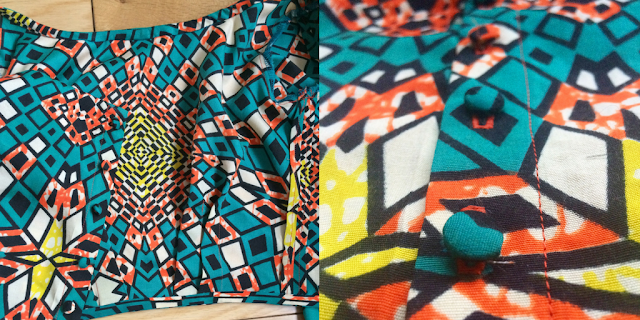 Seriously, I think it is the most beautiful fabric I have ever seen. 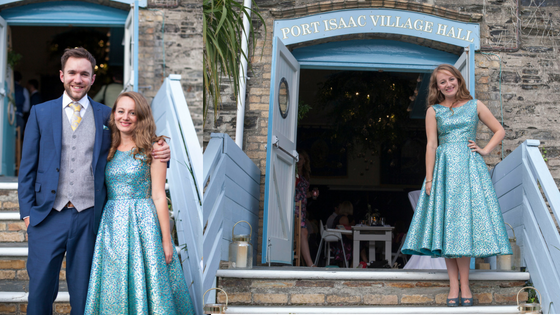 The offer was perfectly timed too, as this summer has been packed with weddings. As you know, I love nothing more than an excuse to make a totally over the top dress and, luckily for me, this wedding invite specified glamour. As someone who tends to overdress even for bed, this was music to my ears! 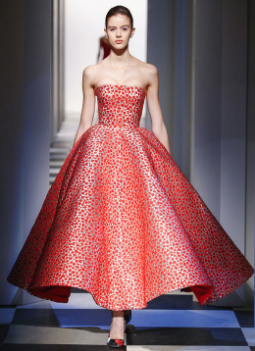 I was inspired by this Oscar de la Renata dress and I thought Marcella Romano's beautiful Jacquard would sing with these simple lines and full skirt. 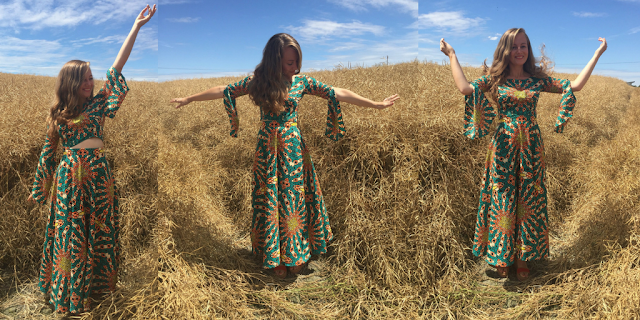 I reached for my tried and tested Elisalex dress from By Hand London. It is such a great canvas to build your vision. Marcella had kindly provided enough fabric for a big skirt so I decided on a full circle skirt with a generous pleat that lined up with the seam lines on the bodice. The fabric was a little tricky to handle after cutting as it frays like it wants to disappear. 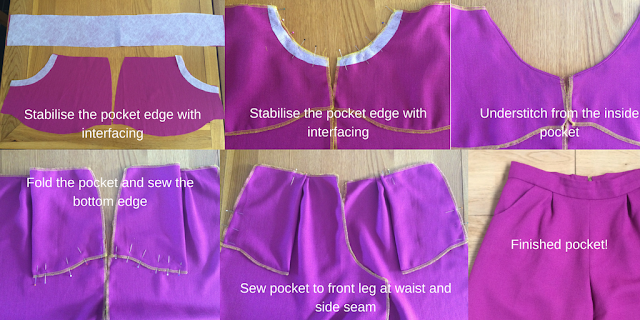 Immediately after cutting, I stay stitched the pattern pieces within the seam allowance. Even the offcuts were totally beautiful! 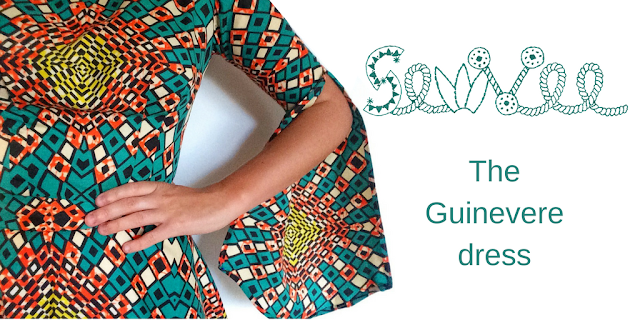 I lined the bodice with some beautiful Liberty Tana Lawn and the skirt with some teal crepe I had in my stash. The lining was definitely needed, as the fabric is a little scratchy on the wrong side. I finished the hem with some wide teal bias binding, which gives the skirt beautiful fullness at the hem, and I even sewed some coins into the hem for the extra swing! 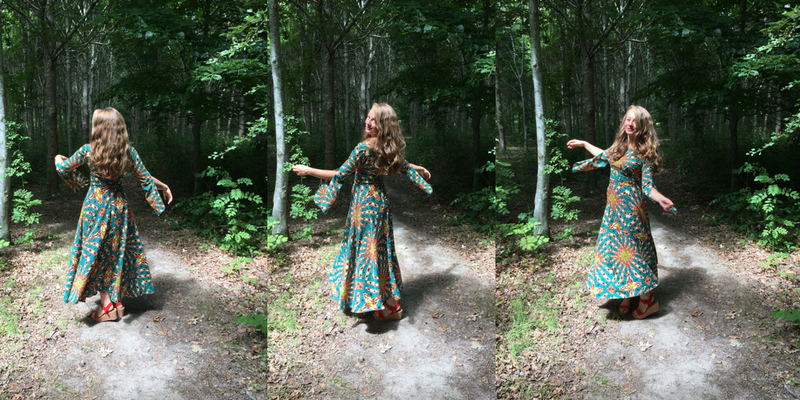 This dress was screaming out for pockets - perfect for hands-free dancing at a wedding! 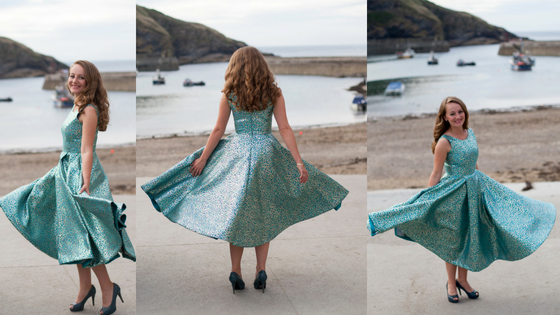 I love the finished dress and it looked amazing against the beautiful Cornish backdrop for the wedding. 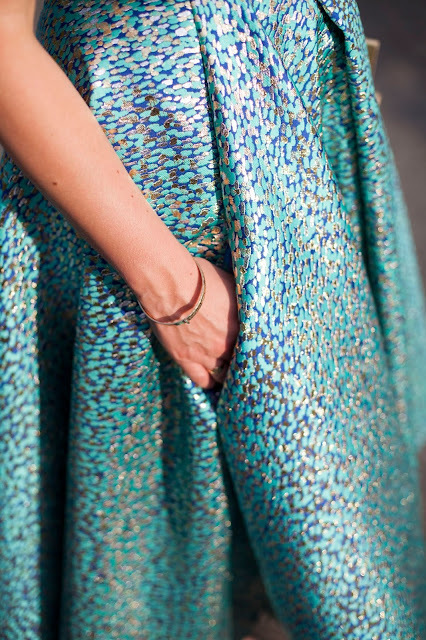 The perfect fabric for the sea. 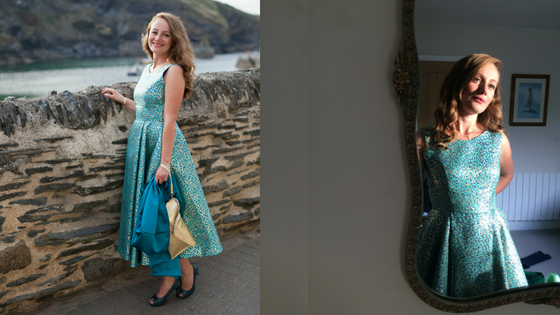 I made a satin backed crepe shawl in a beautiful teal colour for warmth and paired the dress with a gold clutch. I had so many compliments from other guests and one chap even approached me to tell me that it was the most beautiful fabric he had ever seen! 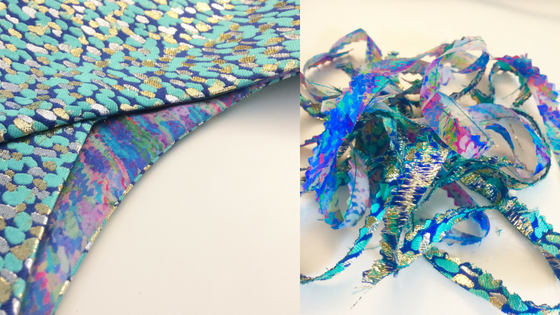 I hope you love this fabric too and get over to Marcella’s site to support a very talented lady. A huge thank you to Marie for organising the tour and of course to Marcella for providing the absolutely gorgeous fabric. Not entirely practical, naturally, but I was loving the middle ages/1970s vibe. After all that dizzying I chose to work with an 'African wax' print with a little more drape than usual. Whilst in London at Dalston market I accidentally purchased some 'fake' African wax print (I suspect it is Chinese in origin) but its polyester content does provide drape, perfect for a maxi length and those dramatic sleeves! After this, I drafted a simple maxi half circle skirt and added a button band at the back of the bodice instead of a zip. Like I said, I was enjoying the medieval vibes. I decided that rather than making a dress I'd make separates to maximise the wear I'd get from the skirt - the sleeves are rather ridiculous after all! The cutting and sewing were relatively straight forward. Mostly due to the fact I was decisive with my print placement. I finished all seams by turning over and stitching, I finished the neckline with self-made bias binding, then covered my own buttons, and I stitched the bodice hem by hand. Who needs a house when you can frolick dressed as a 1970s princess... I'll keep telling myself that. This was an extremely timely make for an entry into the Sleeve fest 2017 competition run by @dream.cut.sew and @valentine.and.stitch over on Instagram. Do you have any grand sleeve plans? You've got until the 31/08 to enter! Wishing you all a happy, sewing filled week. The lovely Rae from Made by Rae asked me to whip up a Cleo to celebrate its launch as a paper pattern. 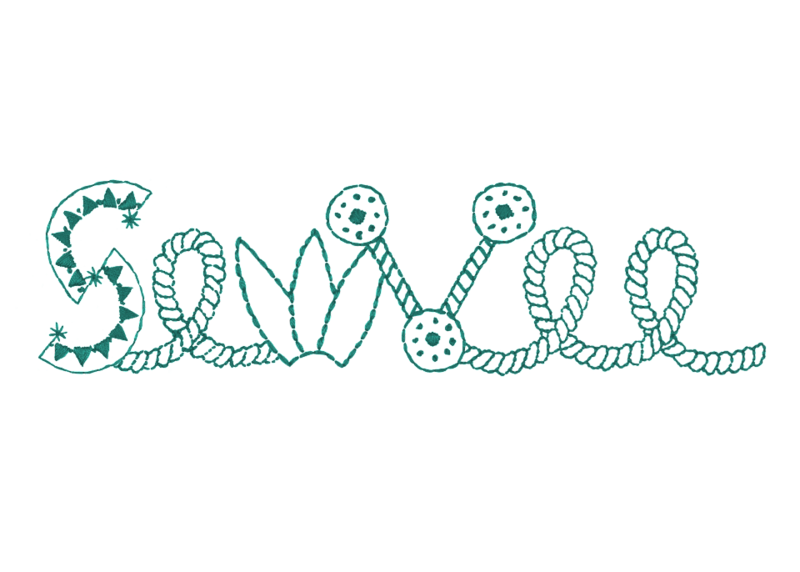 And whip I did - it took me a grand total of 2 hours! 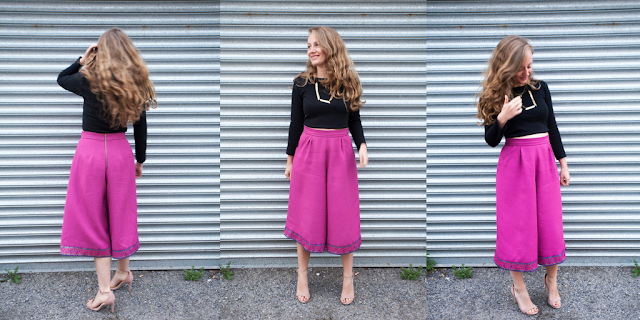 Cleo is a simple gathered skirt with an elasticated waist and cutout style pockets. 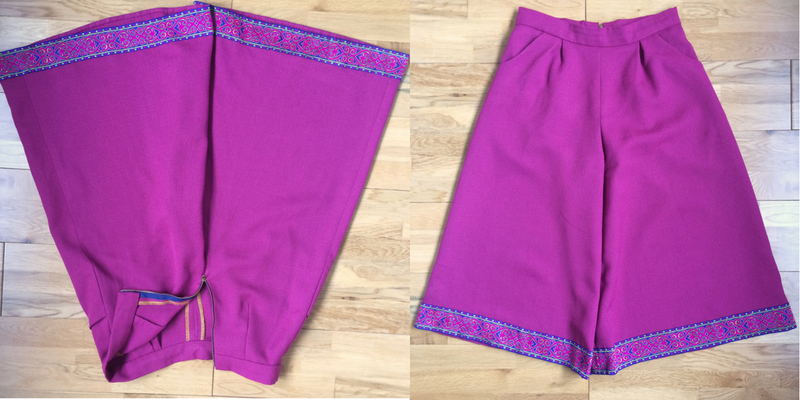 A very gratifying sew for after work, I did it in two stints - cutting and sewing. 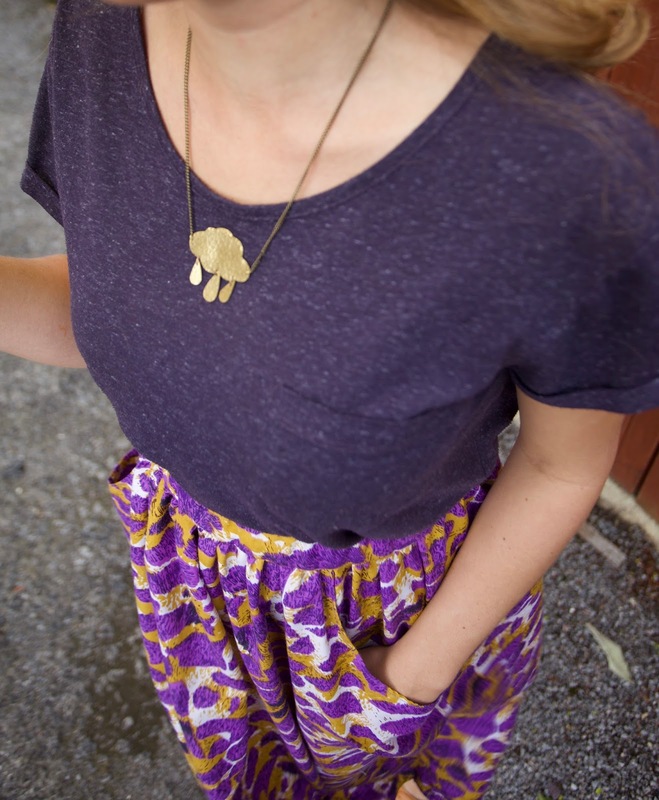 With no zips or any fiddly bits, Cleo really is great for a beginner (or those of us that sometimes fancy a quick and gratifying sew!). You gather the front section first, then sew on the waistband and use the elastic to gather the back skirt (I'm a woman that hates to gather, so this is a real plus for me!). I made the skirt from a lightweight cotton that I bought in a French market a couple of years ago. 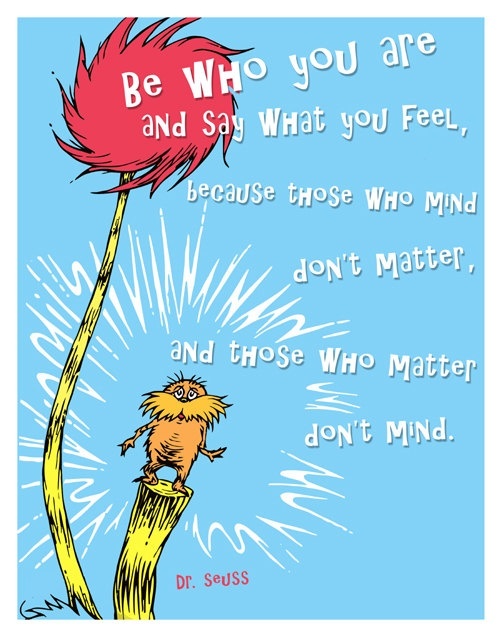 It reminds me of the Truffula trees from the Lorax which makes me happy, especially when worn with my Just Trade Cloud necklace and brolly earrings! I clearly tempted fate with my Jewelry, as my faithful long suffering photographer and I got quite wet whilst taking these photos! Oh, the Great British Summer! I finished the insides with french seams and the hem with yellow bias tape - but I machined it! Not like me at all as I LOVE a hand stitched hem. I was clearly in speed sew mode! She is super comfy to wear and those pockets and very handy indeed. I think next time I'd make them a little deeper as my phone tends to peep out the top slightly. 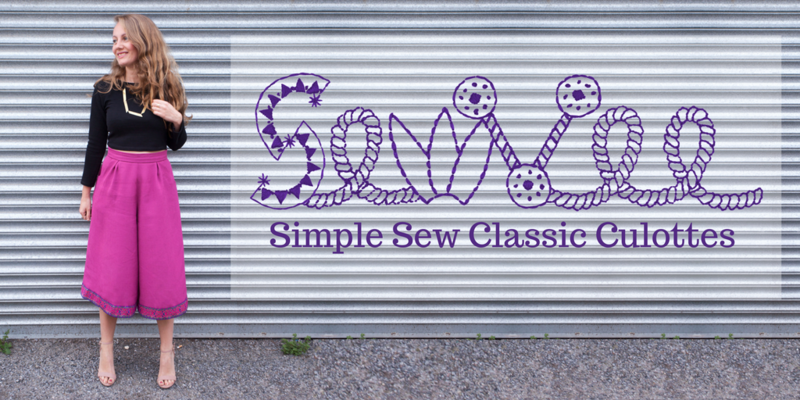 Wishing you all a sewing filled week and if you'd like to get your crafty mitts on Cleo you can head over and download the PDF here. I am a bit of stranger to the old crotch seam. 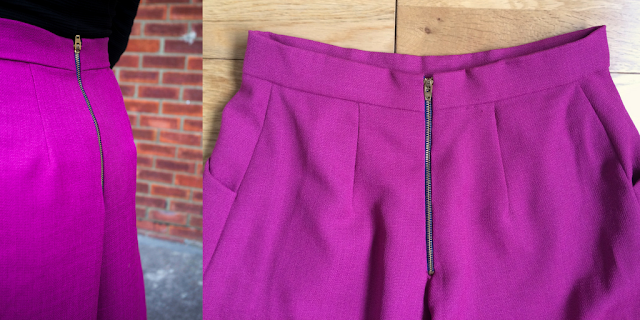 Trousers are never high up on my list to sew or wear – I enjoy a breeze around my britches and love the ease of throwing on a dress in the morning. 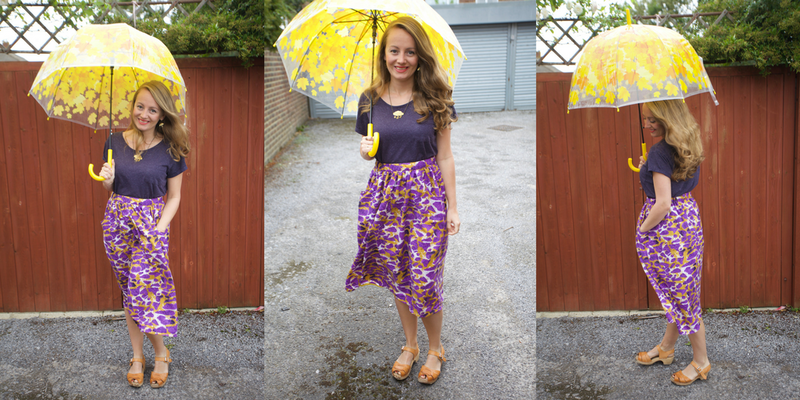 Neither do I particularly follow high street trends, but this month’s Simple Sew make sees me break both habits in one quick sweep! My new commute to work takes me past the crisply dressed window of Oliver Bonas. At 08:50 AM I can often be found nose pressed against the glass like an excited child as they dress the window for the day ahead (an easy mistake to make with my stature, enthusiasm and love of rucksacks). For the last couple of weeks, the garment of the moment has been a particularly lustful pair of high-waisted culottes and they have certainly stirred up some crotch seam desire (…if Nigella did sewing). 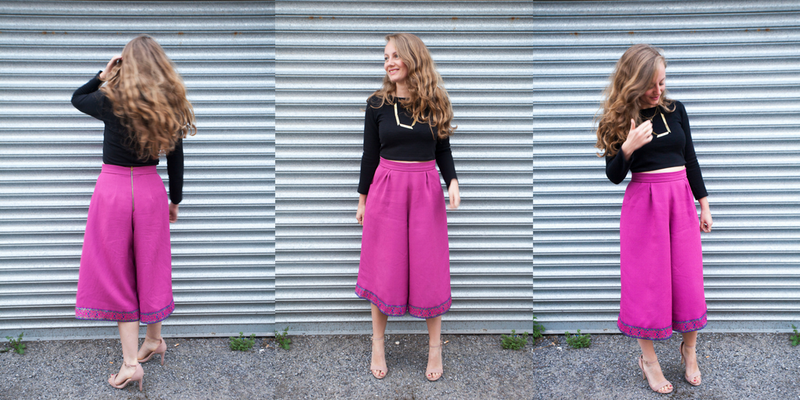 When Gabby got in touch to tell us it was time to chose a Simple Sew pattern for this month’s make my cursor fell instantly on the Classic Culottes. They looked like a satisfying sew but with a couple of cute details to keep it interesting. I love the pleat details at the waist and the side slant pockets are my favourite. I was one of the lucky sewists able to pick a length of fabric from the beautiful selection at Sew Essential too. After some deliberation, I picked out this John Kaldor linen look fabric in Fuschia. It looks like linen without any of the creasing – a sweet deal if you ask me. These photos were actually taken after a long and muggy day at work, so the proof is in the pudding – barely a crease in sight! I had every intention of sewing a solid colour for once. The trims on my shelf thought otherwise and tormented me with their beauty … until I gave in. It seems I have no self-control for prints and pretty sparkly things. Absolutely none. The trim was from The Brighton Sewing Centre, a souvenir from my trip to Brighton a couple of months – I think I nabbed the last of it but they have lots of other beautiful trims. Well worth a look online or a visit in person. 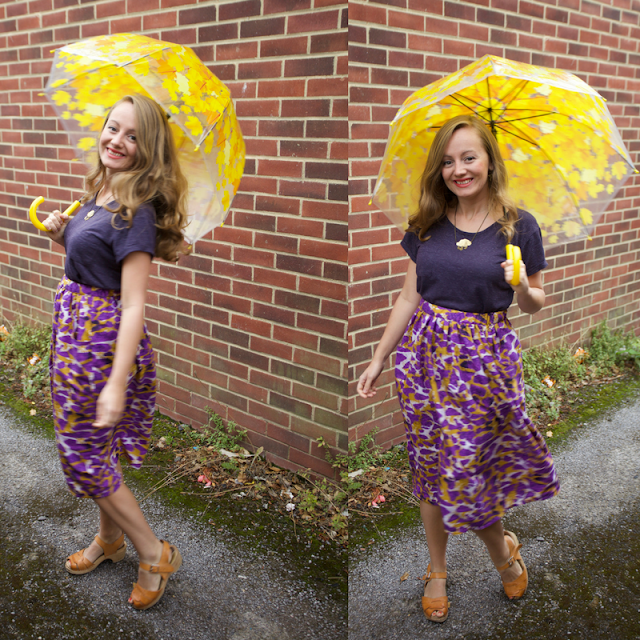 I decided the culottes would be more flattering with fewer pleats at the front. I’m not particularly graced with long pins (legs my sewing pins are great thanks) so I was a little worried about looking frumpy in a pair of culottes. 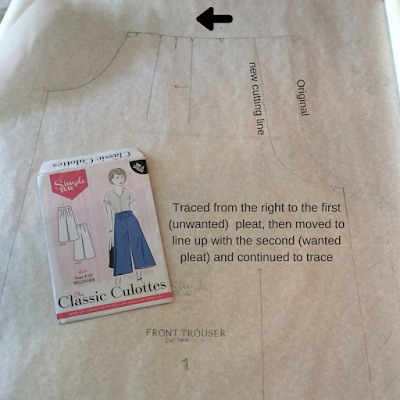 I did this by tracing off the pattern from the right side (crotch seam) until I hit the first (unwanted pleat), I lifted the tracing paper and lined this point up with the second (desired) pleat and continued to trace. This also had the benefit of removing some volume from the trouser leg – again all excellent things for frumpiness reduction! Apparently, the fabric is impossible to photograph consistently! I opted for an exposed zip (mainly as I didn’t have a matching zip and my local haberdashery only sells regular zips). Sometimes laziness and impatience pays off as I really like the way it complements the trim. 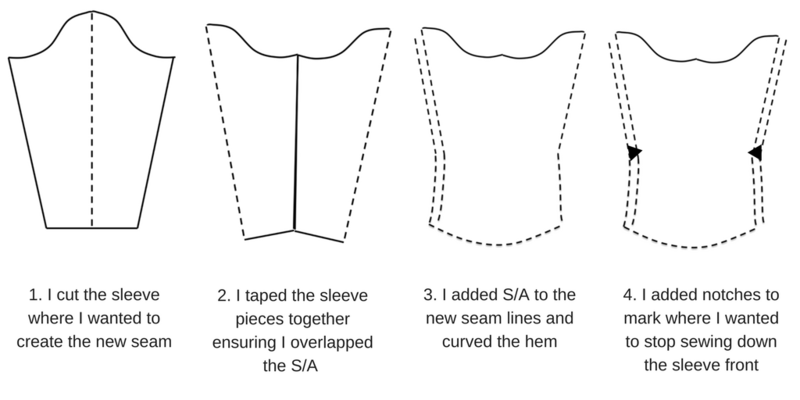 I sewed the smallest size as the sizing was pretty close to my measurements and sewed the side seams with a larger seam allowance to account for the difference. However, they have still come out a little too big but I couldn’t face unpicking my beautifully inserted exposed zip! Still, I’m happy as it means they are super comfy. Just a heads up if you choose to sew your own. The very last thing I did was to finish the hems with this beautiful trim. 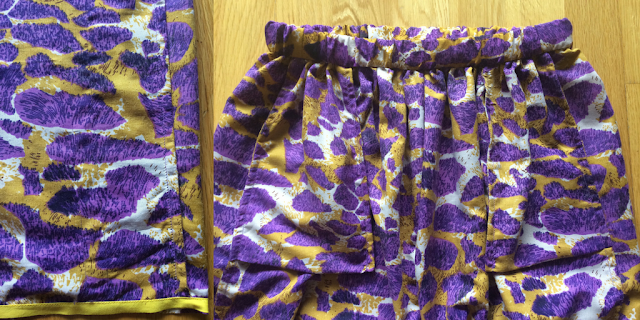 I spent 2 happy hours hand stitching in the sun over the bank holiday in my knickers! After a complete lack of regard for sun safety, I almost matched my new culottes in colour - wear sunscreen kids! After a good smothering of Aftersun, I (carefully) pulled on my new culottes and headed for a BBQ! 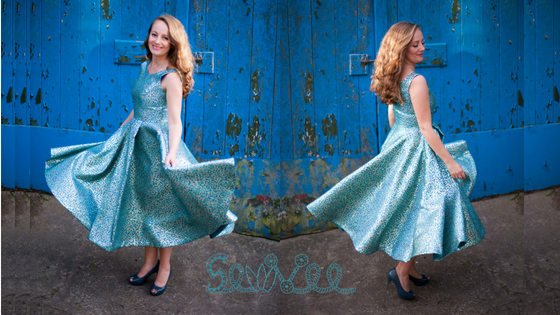 Thank you to the lovely lot at Simple Sew for the pattern and the wonderful Lucy and the team from Sew Essential for the beautiful fabric.